Much like his signature Love Bomb design, Xavier Perry (and his infectious smile) is making his mark on Atlanta and adding a touch of positivity wherever he goes. Xavier, who is a recent graduate of Savannah College of Art and Design with a degree in illustration, was selected to design a t-shirt as part of the Xfinity Art Series program. Ne[x]t Magazine spent a few minutes with Xavier to learn more about him and his work. See what Xavier had to say below. How did you find out about the Xfinity Art Series? What did it mean to be chosen as one of the artists? An Xfinity Art Series representative actually reached out to me about participating in the project. Xfinity selects a handful of local artists, who each gets to design a t-shirt for Atlanta’s MLB team. Each artist then gets to participate in a shirt signing at the Xfinity Rooftop at SunTrust Park during a game and another shirt signing at an Xfinity store. It was a great honor to be chosen for the series – collaborating with both corporations was a dream come true, because I’m originally from Atlanta. What was the inspiration behind your t-shirt design? I wanted to incorporate my signature design (Love Bomb), which symbolizes the rippling effect of spreading love and positivity throughout the community. How did being selected as an artist for the Xfinity Art Series impact your career as a freelance artist? Sharing Xfinity’s platform allowed me to reach a more diverse audience, and it also helped fuel my confidence. When did you first spark a passion for art and wanting a career in the art industry? What keeps you motivated? Becoming an artist was unexpected – art chose me. Art allowed for self-expression and it provided an opportunity to speak for others. My support system and community inspire me to keep going. Because my art is for the people, I’d rather focus on the now. My audience may need another message in 5 – 10 years. In 2017, you helped create “The Largest Toilet Paper Roll Sculpture” and set a Guinness World Record. What was that like? What is one of your all-time favorite projects? My first Love Bomb mural is my favorite because it was my first community piece. Georgia’s Own and Ne[x]t Magazine are all about helping our members make smart financial decisions. Any tips or tricks you’d like to share with our readers? Budget your money with personal growth and responsibilities in mind – but don’t forget to enjoy life! 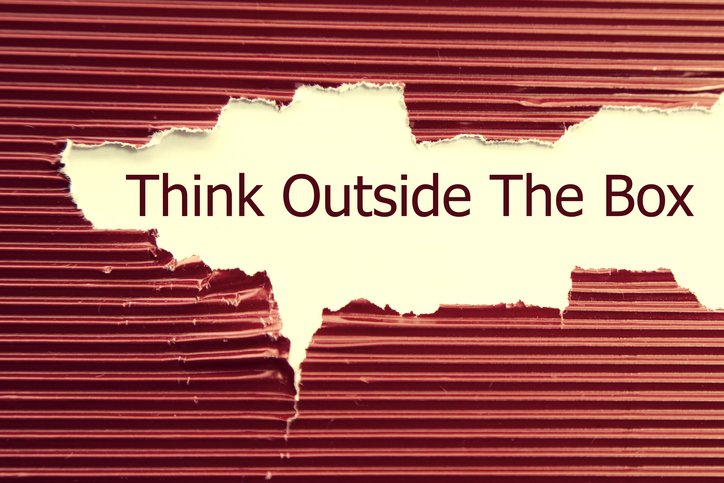 Just for fun – what’s something many people might not know about you? I enjoy running, and sometimes jog as much as 7.2 miles. Learn more about Xavier’s work on his website, and check out his Xfinity Rooftop shirt signing below. 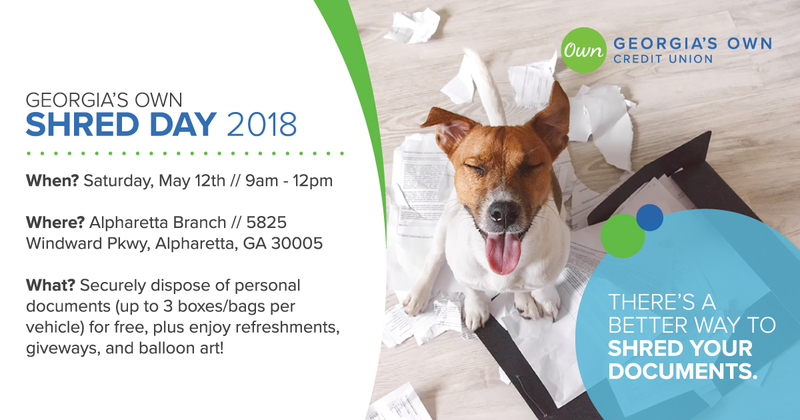 Join us on Saturday, May 12th 2018 for Shred Day at our Alpharetta branch from 9am – 12pm. We’ll have one truck available for you to securely dispose of your personal documents (up to 3 boxes/bags per vehicle) for free. Plus you and your family can enjoy refreshments, giveaways, and balloon art! 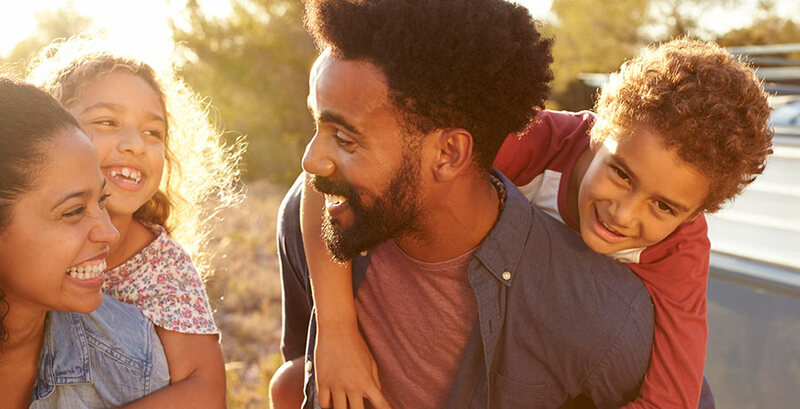 With two whole months of summer vacation left, you’ll have to find some activities for the family that will keep them entertained but won’t break the bank. We’ve rounded up some frugal fun that will earn you big points without spending big bucks. Many of the larger movie theater chains offer a summer program of weekly $1 family-friendly movies. Regal Cinemas Summer Movie Express 2017 includes Kung Fu Panda 3, The Boxtrolls, The Secret Life of Pets, and Sing, to name a few. Stop at the Dollar Store or the grocery store for some movie-themed snacks, and you’ve got a fun and inexpensive morning out! Target sponsors FREE admission to events and museums across the nation. Check out their site to see what’s happening near you. Maybe next time you won’t feel so bad when you can’t leave the store without spending $100. Have a child that’s interested in technology? Apple retail stores offer Apple Camp, where kids 8 to 12 can learn to make a movie or interactive book. It’s FREE so register here. Have a friend that’s a good baker, painter, or movie-taker? Make plans to swap days and kids. The kids will love it because they’ll have fun with their friends and maybe learn or experience something new. You’ll enjoy it because you’ll have some free time to run errands, get some work done, or get a manicure! Not all hiking trails are designed for experienced adventurers. Download the All Trails app, and wherever you are, you’ll be able to find the perfect hike, bike ride, or trail run by length, rating, and difficulty level. Filter by dog or kid-friendly trails, or find trails with great views. Bring a bird watching book, pack a picnic, and make an afternoon of it. Most local stations will be happy to arrange tours for kids. This is an exciting field trip for both preschooler and school-age children. They’ll love learning about the different fire trucks and meeting real live heroes. Check out some of your local big chain stores like Lowe’s and Home Depot for their FREE kids’ weekly wood project workshops. Michaels craft stores also sponsor inexpensive classes for kids that encourage imagination and allow their creativity to shine! It’s always fun to sleep where you normally don’t, so whether it’s in a national park, in the backyard or under your dining room table draped with sheets, you can still call it camping! Bowling is always a fun time for families. Register your kids at Kids Bowl Free, to participate in a nationwide program where kids get to bowl two games for free every day during the summer at their local bowling alley. This may sound like a lot of work, but you can make it as simple or as elaborate as you like and Wikihow is just one of the many sites with instructions and great ideas. Whatever your summer plans are, go out and enjoy yourself. Just know that all fun doesn’t have to break the bank. There are tons of things you can do that will create lasting memories and still allow you to stay within budget. Be creative and resourceful, and you’ll have the best summer yet! Join us for Shred Day, Saturday, May 20 th, 2017 at the Georgia’s Own Alpharetta Branch , located at 5825 Windward Parkway in Alpharetta. This year TWO shred trucks will be on site from 9 a.m. – 1 p.m to shred your personal documents for free (limited to 5 boxes/bags of personal documents per vehicle). We’ll also have refreshments and giveaways for the family to enjoy! In the mortgage industry, nothing is more rewarding than helping a client purchase their first home. The day is met with excitement, enthusiasm, and oftentimes photos to remember the day that someone has started “a new life!” That day can also be met with anxiety, worry, and wondering, “Did I make the right decision by purchasing this home?” At the end of the day, those of us in the mortgage industry should really be educating these first-time buyers so they’re prepared once the moving truck is gone and so they’re budgeting for the one-time/first-time expenses, as well as monthly bills, that come along with being a new homeowner. From a monthly perspective, if you’re moving from an apartment or condo, you may not have had all of your utilities set up in your name — some may have been included in your rent. Cable, water, electricity, gas, internet, garbage pickup, and pest services are all monthly expenses that you’re going to have as a new homeowner. Oh, and by the way, many utility companies will not set up these services unless you pay a deposit. Did you have these costs in your budget? First-time purchases should also be budgeted for, considering some of them are big-ticket items. Do you have a lawnmower? You’ll need a gas can, along with a weed-eater of some sort, as well. Does your new home have a refrigerator or a washer and dryer? Chances are if you’re moving from an apartment, those appliances stay in the apartment and you’ll have to buy these items. If your home is newly built, you’ll need blinds for the windows, or some sort of window treatments — not just for the front-facing windows of the home, but for ALL windows. And trust me, you don’t want to be known as the house on the street using Star Wars sheets as curtains. 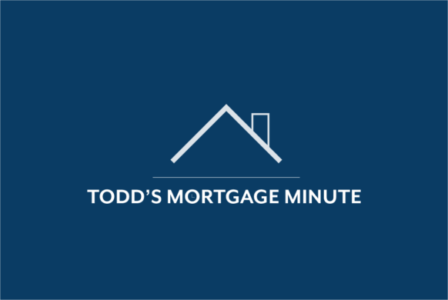 The bottom line: there’s more to purchasing that first home than just having the funds needed for closing and being able to afford the monthly loan payment. Make sure you’re ready so you don’t stress after the move. Homes are meant to enrich our lives, not to stress us out!